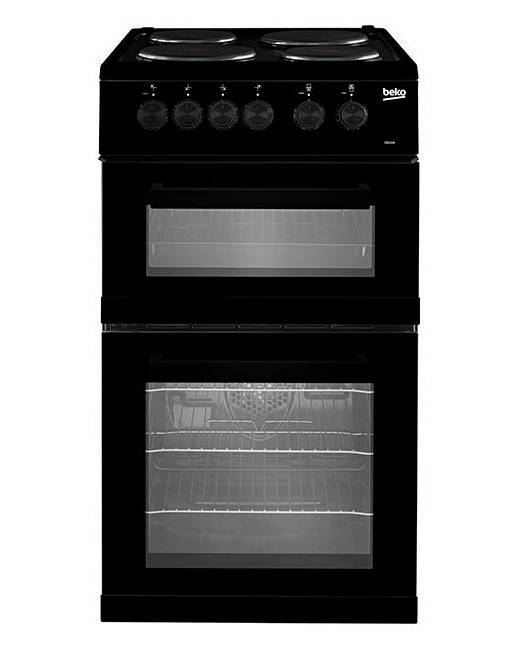 Beko Double Cavity Cooker + Install is rated 5.0 out of 5 by 1. 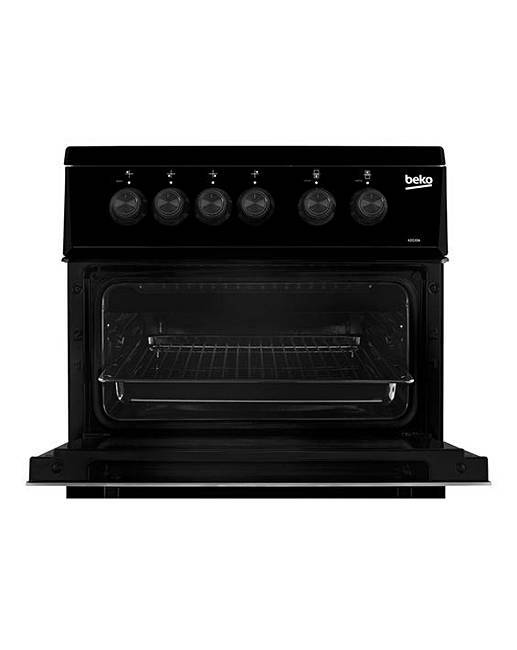 Cooking is made easy with this electric cooker's two cavities: an A energy rated fan main oven for baking and cooking, and a separate area for grilling. Offering quick cooking, its solid plate hob uses two Rapidlite zones for fast heating. Fan main oven and separate grill. 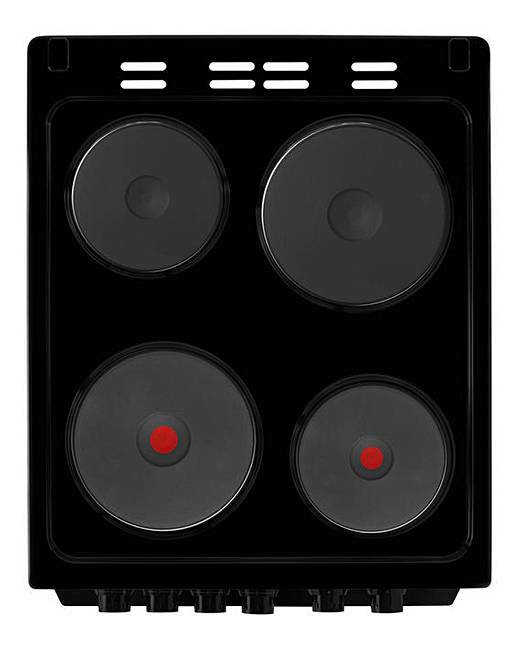 4 zone sealed plate hob with 2 Rapidlite elements. 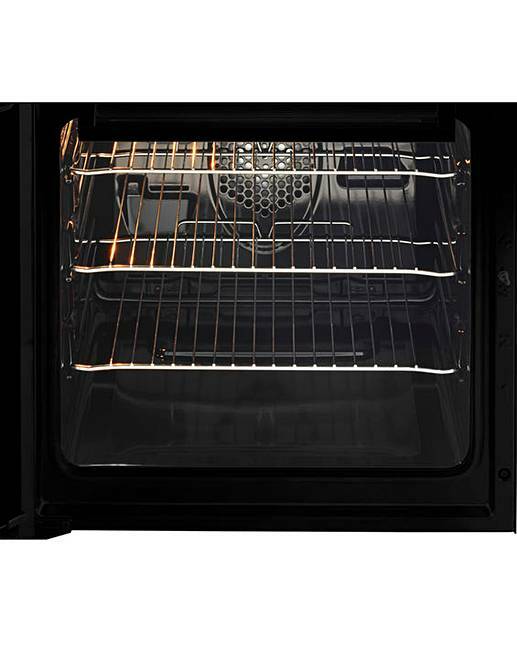 Large capacity 60L main oven and 31L top cavity. Thermostatically controlled conventional main oven. Full width variable grill in top cavity . 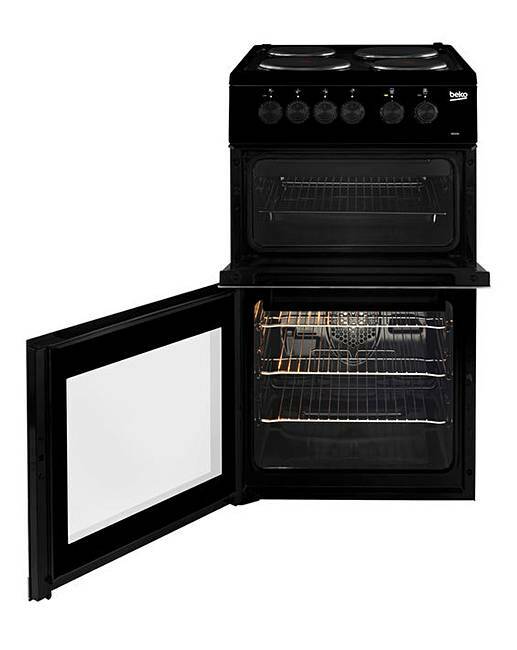 Diamond quality easy clean enamel oven interior. Easy clean full glass inner doors. Removable inner door glass. Full metal front panel with easy grip control knobs. Oven light in the main oven. 3 wire shelves and full-size grill pan included. Height adjustable feet at front and rear. Cooker type: Twin cavity with single oven and separate grill. Cooker fuel: Electric. Fuel Electric. H.90 x W.50 x D.60cm.